The 2009 London African film festival ended last week after eight busy days of screening of African movies from varied parts of the continent. Zimbabwe was presented at the arts centre Rich Mix on Tuesday December 1. The film tackles the problems related to illegal immigration in South Africa and the ambitious project is directed and written by Darrell Roodt. Over a thousand people illegally cross the border between Zimbabwe and South Africa every day. Many of them become victims of their new chosen society. With this new film, Roodt condemns various abuses that stem from this very serious problem. Zimbabwe (Kudzai Chimbaira) is a 19 year-old teenager who has recently become an orphan after the death of her parents from AIDS. She has no choice but to leave her village with her younger brother and sister, to find refuge at a remote aunt’s house. 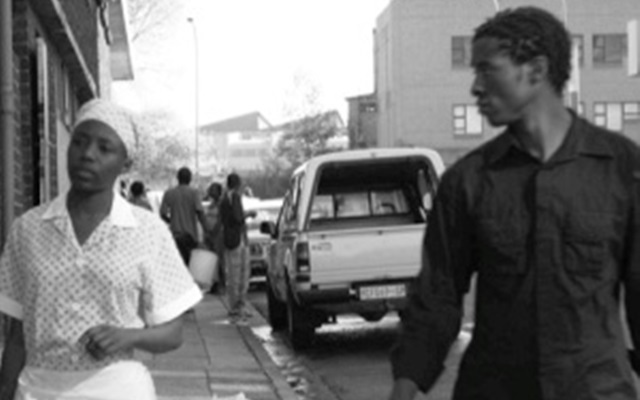 The young woman then decides to move illegally to Johannesburg, in search for a new, better life. But she will only find misfortune and despair. Beyond this far from revolutionary scenario, Roodt directs a sincere story that is superbly led by Kudzai Chimbaira. She manages to bring an authentic feel to the production. Through her ill-fated character, the viewers get an insight of many issues met by illegal Zimbabwean immigrants in South Africa, as well as general troubles that the country faces. Roodt skimps on the technical side as poor audio and video quality mars the film. But otherwise Zimbabwe offers a moving and heart-rending experience. It is a must-see film for anyone who would like to understand the complexity of illegal immigration.